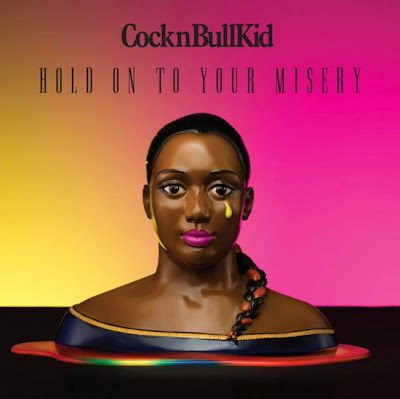 The best new song that I heard last week was the Motownesque Hold on To your Misery by CockNBullKid. Magnetic Man featuring John Legend and Getting Nowhere is also becoming one of my most listened to songs. The jury is out on Adele's cover of Cheryl's Cole's Promise This but that is mainly because I thought the original was one of the worst songs of 2010. That cover and Hold On To your Misery are below. Strike Curious Poses Chart: 31-1-2011 1(-): Hold On to your Misery - CocknBullKid 2(8): Getting Nowhere - Magnetic man featuring John Legend 3(1): Good Girl (Freemasons remix) _ Alexis Jordan 4(5): Limit To your Love - James Blake 5(4): Rolling In The Deep - Adele 6(6): Me and you - Nero 7(2): Give In To Me - Leighton Meester & Garrett Hedlund 8(-): What Do you Want - Jerrod Niemann 9(3): Popalicious - Robin Skouteris 10(11):The Art Of Love - Guy Sebastian featuring Jordin Sparks 11(7): I'm Here - Jennifer Hudson 12(9): Happiness- Alexis Jordan 13(10):Smoke a Little Smoke - Eric Church 14(-): Brother - Smashproof featuring Gin Wigmore 15(-): Lover, Lover - Jerrod Niemann 16(16): Black Box - Stan Walker 17(19): Stuck Like Glue - Sugarland 18(14): Somebody To Love Me - Mark Ronson feat Boy George 19(26): The Last Dance - Clare Maguire 20(24): On The Floor - Jennifer Lopez featuring Pitbull 21(18): Punching in A Dream - The Naked and Famous 22(15): Who's That Girl - Guy Sebastian featuring Eve 23(13): Love Long Distance - The Gossip 24(- ): Promise This - Adele 25(18): Get Outta My Way - Kylie Minogue 26(22): young Blood - The Naked and Famous 27(23): Stay - Hurts 28(17): Something in the Water - Brooke Fraser 29(25): Jigsaw - Ryan Sheridan 30(21): My House - Hercules And Love Affair Here's Hold On To your Misery by CockNBullKid . and Adele's cover version of Promise This.